Resistance to petroleum oils, minerals and vegetable oils. Suitable for most common alkalis and acids. Temperatures -20°C to +80°C. Polymax NBR cord is widely used for applications involving resistance to petroleum oils minerals and vegetable oils. It is also suitable for contact with aromatic hydrocarbons and most dilute alkalis and acids. Polymax NBR rubber cord also has good mechanical properties, low compression set and is most cost effective. 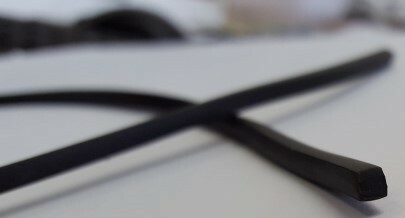 It is not suitable for high temperature applications or for protection against ozone, ketones, esters, aldehydes, chorinated and nitro hydrocarbons (see Polymax Viton rubber cord).